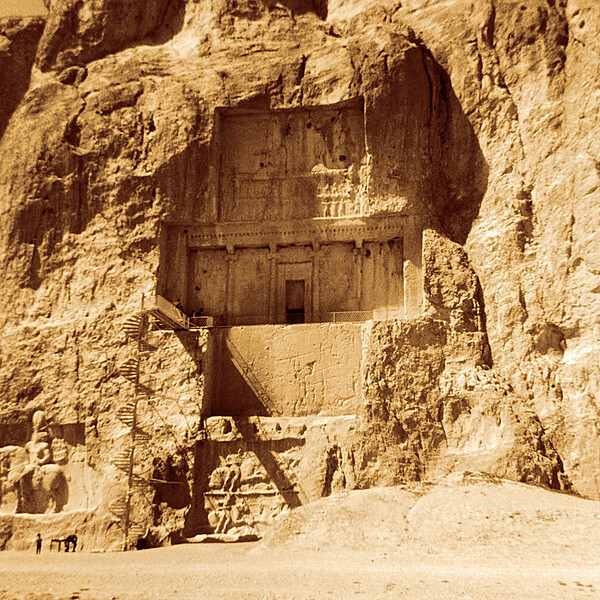 In 1966 I took this picture of what is called the Tomb of Darius the Great in Iran with my Brownie camera. I lost the original print and found the black and white negative in an old briefcase forty years later. The negative was an extinct 2x2 inch format. It wouldn't fit in my film scanners so I had it reprinted the good old fashioned chemical way. This is from a scan of the reprint. The color is false but if you look at modern shots of this site I think you will agree it reflects the tone of the tomb.